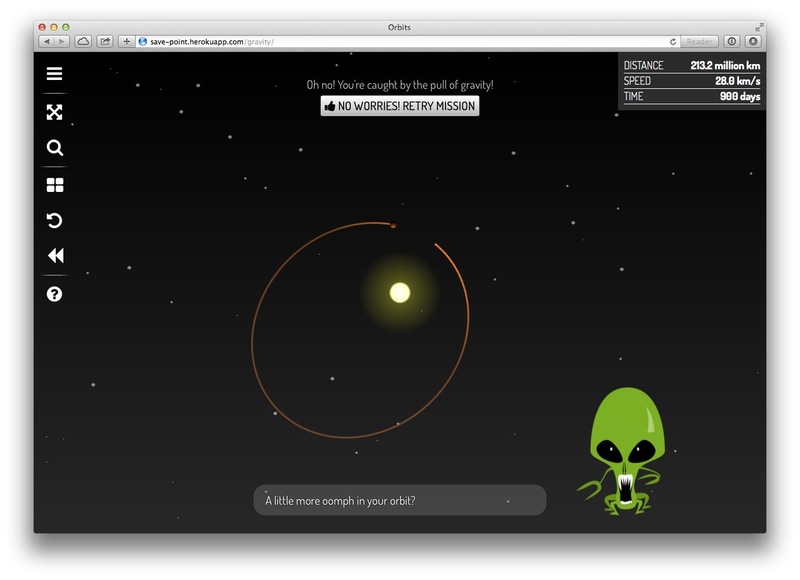 SAVE/Point is a collaboration of astronomers and educators dedicated to developing new, innovative games and educational applications to teach astronomical concepts at all levels. 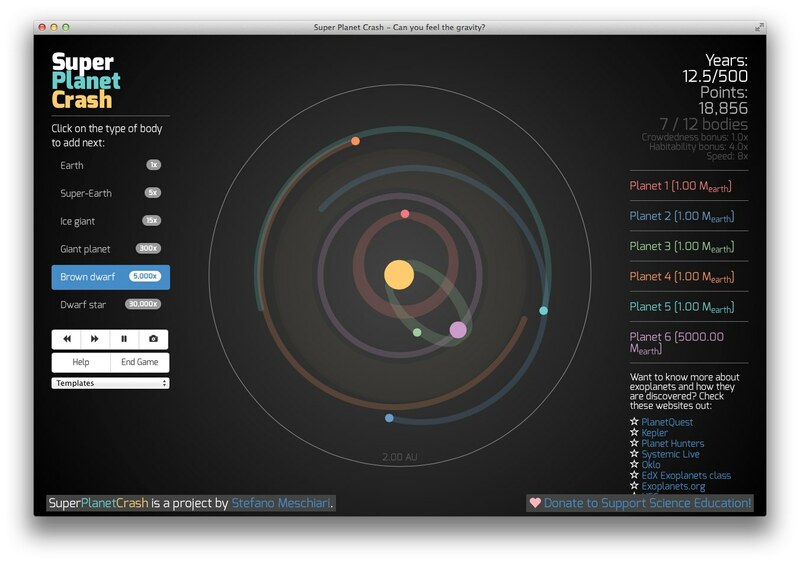 This document lists the relevant TEKS and NGSS standards for the Orbits and Super Planet Crash games. This document is a collection of 4 problem sets that use Systemic Live. Students analyze four sets of real astronomical data that contain signals due to the presence of exoplanets, replicating the process of scientific discovery. It can be used as a homework or lab appropriate for an upper undergraduate or graduate class. 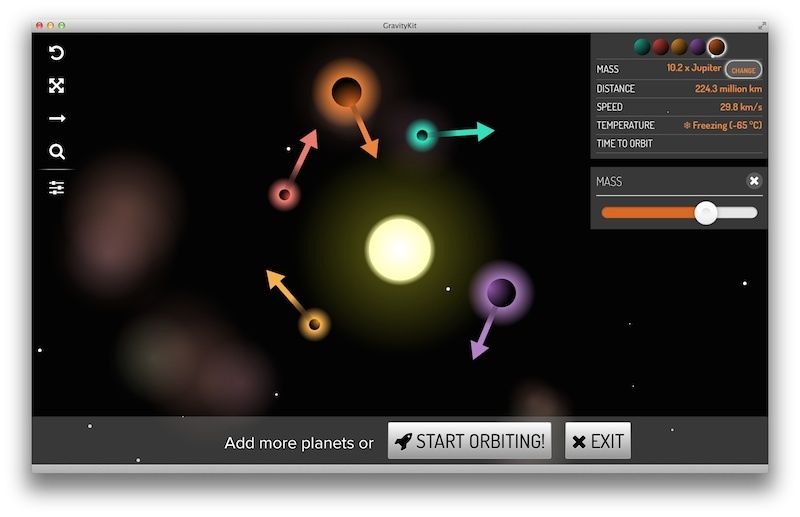 Super Planet Crash is a browser-based gravity game where players create planetary systems and watch them evolve. The more crowded and chaotic the system, the better! 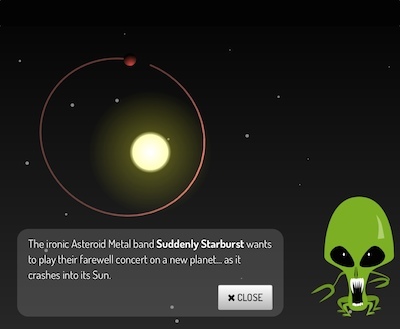 Super Planet Crash has been played more than 12,000,000 times, and it has been featured in articles on The Verge, Huffington Post, io9, Space.com, VICE, & others. Help an alien civilization design new planetary systems. You are the newest employee of the planet-building company Nova Planetia, working for your short-tempered supervisor, Big Boss Reaz-7. Prove yourself worthy of a promotion by designing planetary systems to the exact specifications of your fickle customers. 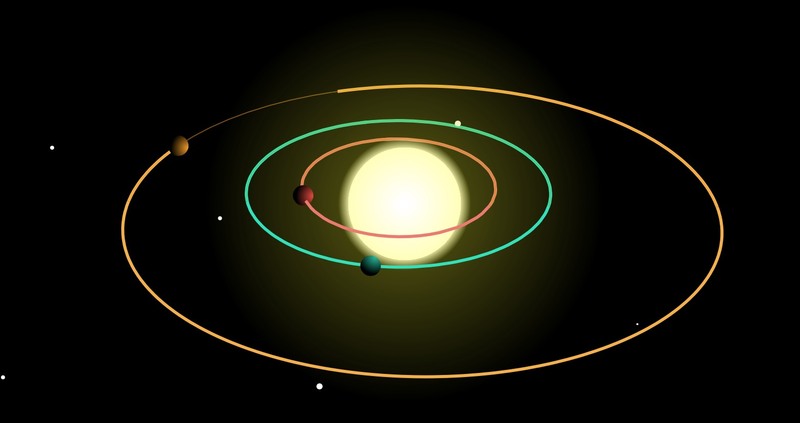 Discover exoplanets using real astronomical data. 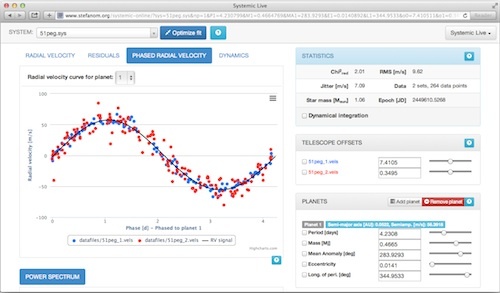 Systemic Live is a web application that lets you visualize and analyze real astronomical data from telescopes all around the world in order to discover the signature of a planetary system. 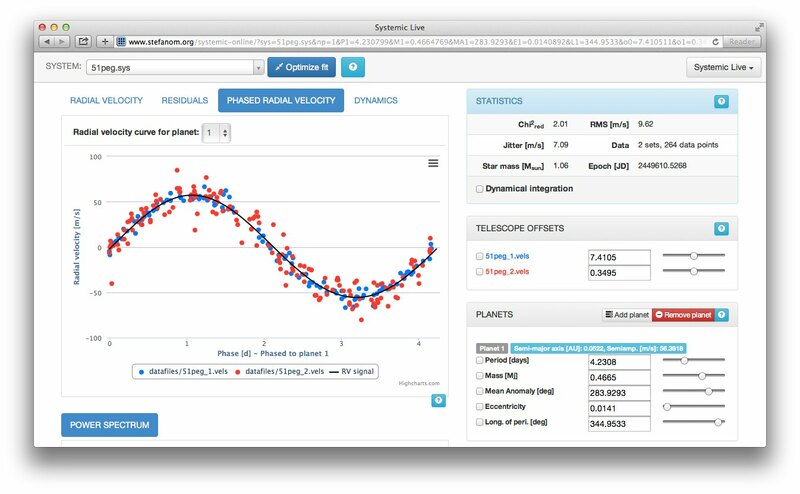 Systemic Live is a great educational tool for students, teachers, and enthusiasts interested in exoplanets and data analysis. It has become part of the curricula for undergraduate and graduate classes at several US and world institutions of higher education (see testimonials here). GravityKit is a web app for building solar systems. With GravityKit, you can set up the position, velocity and mass of each body and observe their motion under the influence of their mutual gravitational pull. 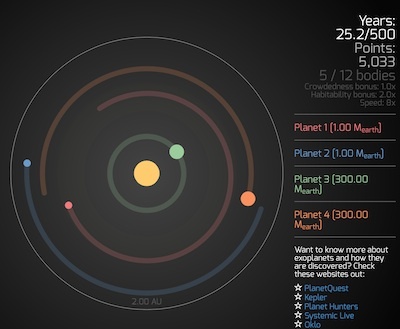 Each planetary system can be saved for later use, or shared online. 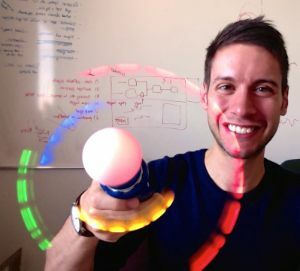 It is especially suitable for use as a classroom activity or demo, or as an interactive gravity simulator for all ages. The SAVE/Point team is comprised of astronomers and educators. Our mission is creating fun, engaging and scientifically accurate educational activities that are widely accessible and on multiple devices and browsers. provide a testbed for future assessments of the effectiveness of educational game environments in STEM education. Our work is currently funded by the Longhorn Innovation Fund for Technology for 2014-2015. 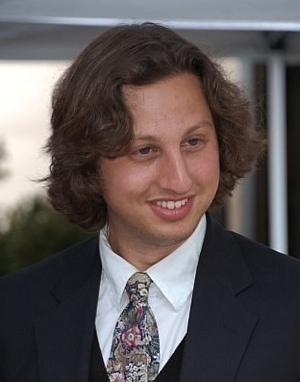 Stefano Meschiari is a W. J. McDonald Postdoctoral Fellow at the University of Texas at Austin. He is the principal investigator and lead programmer and designer of the SAVE/Point collaboration, developing apps and games with a focus on astronomy education. His research focuses in understanding how planetary systems form, discovering new exoplanets, and coming up with new ways to involve the public in the excitement of the exoplanet age. Randi Ludwig is the Assistant Director of UTeach Primary and faculty in the University of Texas at Austin College of Natural Sciences, where she develops hands-on curricula and teaches science courses designed for elementary education majors. 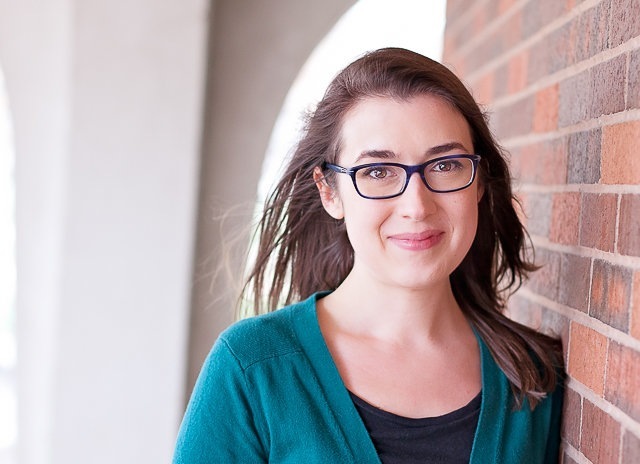 She puts her classroom and curriculum development experience to use in the SAVE/point collaboration by designing learning objectives for game levels, evaluating accessibility for users of many backgrounds, and assessing the effectiveness of game design on user understanding of scientific concepts. Joel Green is the Project Scientist in the Office of Public Outreach at Space Telescope Science Institute (STScI), which operates the science mission of the Hubble Space Telescope and James Webb Space Telescope. Previously he was a Research Associate at the University of Texas at Austin. He contributes the original music tracks, story, and assists in level and app design. Irina Marinova is an adjunct professor of physics at Southwestern University. 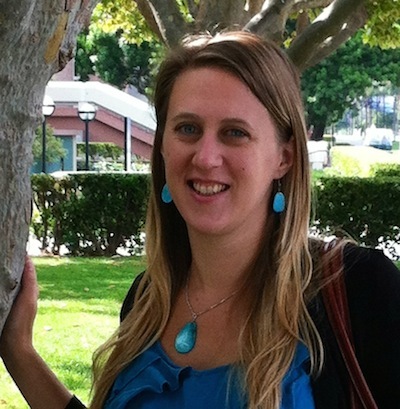 She has a passion for astronomy education and loves working with K-12 students and teachers. She is working to bring the game apps to public venues in the community. 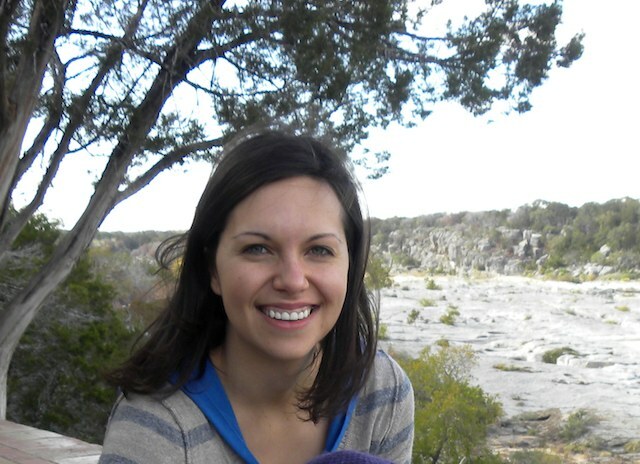 Natalie Gosnell is a W. J. McDonald Postdoctoral Fellow at the University of Texas at Austin. Her research focuses on binary stars including the products of stellar mergers, collisions, or mass transfer. She assists with keeping the SAVE/Point website and app information up to date.